What should have been the greatest day of Harold's life suddenly becomes the longest. 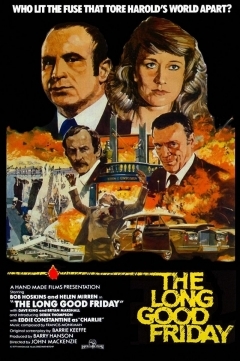 Pierce Brosnan, Helen Mirren, Bob Hoskins, Paul Freeman, Kevin McNally, P.H. Moriarty, Charles Cork, Bryan Marshall, Olivier Pierre, Ruby Head, Daragh O'Malley, Derek Thompson, Leo Dolan, Dave King, Patti Love.